Home » Tutorials » Learn the Crochet Wattle Stitch with this Easy Photo Tutorial and Make a Versatile Afghan Square! This wonderful stitch is perfect for afghans and blankets and it’s easy to learn! If you’re looking for a new crochet stitch that has a luxurious and intricate texture and yet is not overly complex, the wattle stitch is perfect for you. With this photo tutorial you’ll learn to make an 8-inch square and use that as the basis for all kinds of projects! This stitch is also reversible which makes it especially suitable for some projects, such as washcloths and trivets and even scarves. If you like to crochet with variegated yarns such as Red Heart Unforgettable Yarn — which you can buy at Amazon this kind of stitch will showcase the beauty of those colors. The great news is that this stitch is easy to master thanks to this wonderful and free photo tutorial. 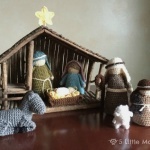 It’s by crochet designer and blogger Rhondda Mol of Oombawka Design. The pictures will show you, stitch-by-stitch, how to complete your 8-inch square with the wattle stitch. Do you prefer video tutorials? If so be sure to check out this excellent video tutorial for the wattle stitch that we’ve previously reviewed at Crochet Maze; click here to see it. And for even more photo and video tutorials for crochet stitches and techniques be sure to scroll down for the links to previous features here at Crochet Maze!